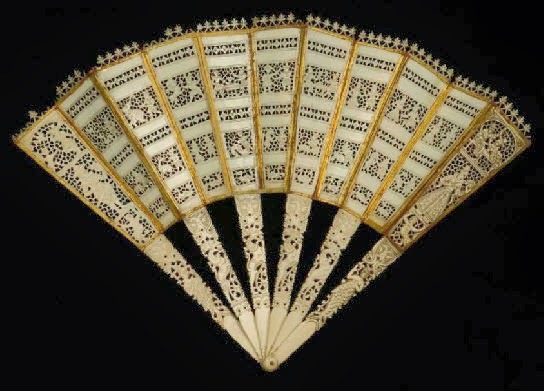 The November auction of Deburaux Eventails XXIX, held at the last day of the Fan Festival on 20 November, had a rare masterpiece among its auction treasures: an ivory/paper fan of he beginning of the 17th century, usually attributed to Portuguese origin. This 400 year old fan is in a remarkably well state of conservation and shows very detailed, fine hunting scenes. Its estimation of EUR 15/20.000 was more than doubled with a final bid of EUR 50.000. Rumours have it that it will find its new home in the UK. See the catalogue for more information. (Photo: Deburaux).